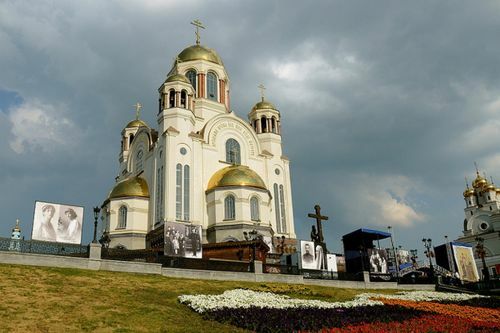 Yekaterinburg, from 1924 till 1991 - Sverdlovsk, is the fourth largest city in Russia (after Moscow, St. Petersburg and Novosibirsk), the capital of the Sverdlovsk region. It is an important transport and logistics hub on the Trans-Siberian Railway, a large industrial center, located in the central part of Eurasia, 1,667 km from Moscow. Ekaterinburg was built as the capital of the mining region spread on a huge territory on both sides of the Urals, in Europe and Asia. After completion of construction, Ekaterinburg plant overcame in technological equipment all other metallurgical plants not only in the country but in the world. Catherine II presented Ekaterinburg the status of a district town of Perm gubernia. The main road of the Russian Empire was constructed through a young town - Bolshoi (Big) Siberian Road. That’s why Ekaterinburg, together with other Permian towns, became a key-town to endless and rich Siberia, “a window overlooking Asia” like St. Petersburg was a Russian “window overlooking Europe”. 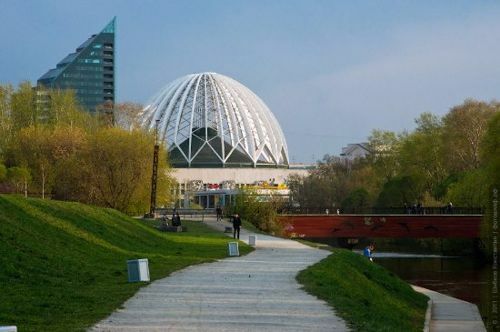 For a large group of people or for companies who are organizing group tours to Yekaterinburg, 8rental offers professional coach rental service. Our chauffeured coaches are highly appreciated by all customers who benefited from them. We are operating in the rental service market for many years now and have managed to understand well our clients' requirements and needs. So, sent a quote now and let us come back to you with a booking offer immediately! Please contact our firm’s representative (via email, phones, Skype or any social websites we are on) who will happily answer all your questions. Be prepared to specify the dates when the service will be required and how many people will be in the traveling group, and also how many coaches your group will need. We also may endeavor to make some suggestions and give our advice. If everything goes smoothly and you will be sure that we are right for you then we will be happy to receive the payment of your booking and send the official confirmation of your booking. Our company can provide exceptional quality transport, which will be clean, reliable and enjoyable to travel in. 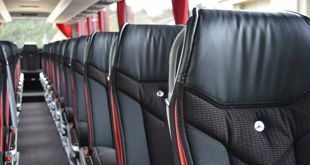 All the vehicles we supply comply with European safety regulations and have plenty of features that will make passenger’s journeys comfortable and pleasant. They are equipped with air conditioning systems, TVs, climate controls, DVDs, WCs, tea and coffee making facilities. Some of the coaches may have Wi-Fi onboard and our clients can also specify it in their requirements. We supply exceptionally good vehicles made by respectful manufactures such as Iveco, Van Hool, Scania etc. 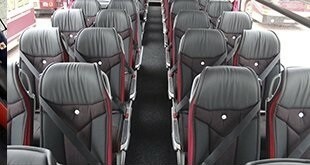 At our client’s requests, we can supply the VIP coaches that provide more comfort, better seats, and more space. Such vehicles may include brands like Mercedes, Neoplan, and a few other highly respectful manufactures. Our drivers give their job everything and provide our customers with the best possible services. They speak English and also a few other languages, so communication problems are virtually eliminated. The can give you advice on what to do, where to go and what to buy in a particular place. They will help you with routes' planning and will drive around the city’s attractions. They are very helpful when picking you up at the airport or a train station by handling our client’s luggage and when arriving at a hotel.